Editor’s Note: This is the final of a two-part series about the European vacation Jason and Michelle Van Zante and their two children took in the midst of the Brussels terror attacks. After a year of planning and preparation, Jason and Michelle Van Zante and their two teenage children, Tyler and Megan, embarked on an 11-day European vacation over spring break, Mar. 18-28. The trip was a celebration of the couple’s 20th wedding anniversary and a return to the rich history, architecture, and culture they love. This year’s spring- break trip added more stamps to the couple’s extensive passport – Michelle has been to Europe five times since 2004; 2016 marked the fifth European adventure for Jason and sixth for Michelle. Tyler and Megan were first-time European travelers, and the countries visited this time were a first for their parents, as well. Despite their familiarity with Europe from prior trips, nothing could have prepared the Van Zante family for the events experienced during their recent European journey. 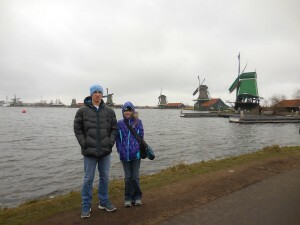 Tyler and Megan in front of the Zaanse Schans Windmills in the Netherlands. A real taste of Dutch culture was on the agenda for the first destination – Amsterdam, arriving on Saturday, Mar. 19, around noon. While in Dutch country, the family visited Haarlem, which was “a little like a farmer’s market or Tulip Time,” said Michelle. “I got poffertjes, so that was very exciting!” On Sunday, a countryside tour to Volendaam (cheese factory), Marken (wooden shoe maker), and Zaanse Schans (windmills), as well as a visit to the Anne Frank House and night pizza cruise of the canals filled the day. The following Monday morning, Mar. 21, the Amsterdam portion of the trip wrapped up with a walking tour before the family boarded a train for Brussels. A memorial for victims of the terrorist attacks in Brussels, Belgium. The Van Zantes arrived in Brussels late Monday and settled into their hotel. The following morning, Tuesday, Mar. 22, is when three coordinated ISIS terrorist attacks rocked the world, killing 35 and wounding over 300 people in metro station and airport bombings. At the time of the attacks, the Van Zante family was still in their hotel room. Jason, Michelle, Tyler, and Megan went on their scheduled bus tour to the cities of Ghent and Burges, completely unaware of the attacks. It wasn’t until 10-15 minutes into the tour when the guide informed passengers of the devastation in Brussels. “I didn't really have a sense of fear, maybe shock, like ‘what have we gotten ourselves into,’” said Michelle. Immediately, Jason and Michelle knew they needed to notify loved ones back home in Iowa they were safe, but finding access to wi-fi was nearly impossible. “The theme of the day was lack of wi-fi,” said Michelle. Finally, Megan was able to communicate with family and friends via Snapchat they were okay, a welcome relief to everyone praying for their safety at home where their story had gone viral and was on local newscasts. 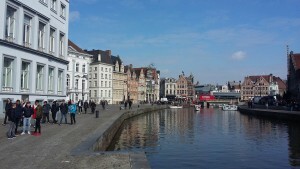 The view in Graslei, Ghent, Belgium. 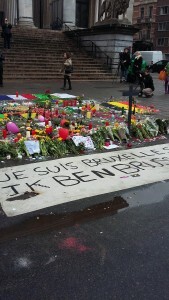 Back in Brussels nearly 12 hours after the attack, the atmosphere was different – Michelle noted many military men walked around with AK47-type guns, and just a block from the family’s hotel, a makeshift memorial formed where hundreds of people gathered to pay their respects. “We probably walked a little faster than normal back to our hotel,” remembered Michelle. That evening, instead of going out to eat, the family opted to bring food back to the room. 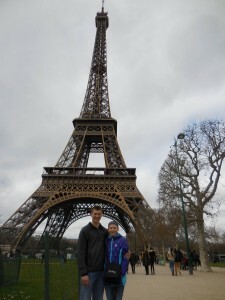 Tyler and Megan in front of the Eiffel Tower in Paris. The next day, the family’s sightseeing plans changed slightly. Originally, taking the subway to the European Union Building was on the agenda. However, because the stop was near the subway station which was bombed the day before, this was not an option. Michelle and Megan stayed in the hotel room while Jason and Tyler walked 1.5 miles to the European Union. Upon the men’s return and lunch again in the hotel, the family proceeded with previously scheduled food tours. Michelle noted that everyone seemed to be moving on with business as usual. “We weren’t really afraid to be out and about,” she said. Typically, security in European countries is sparse, according to Michelle. However, on Thursday, Mar. 24, leaving Brussels for Paris following the attacks was a different story. At the subway station, soldiers with guns thoroughly checked all bags. “I was happy about that because I’d rather them be overcautious. Once we got to Paris, it was very relaxed again, really no security in the subways or train stations,” said Michelle. 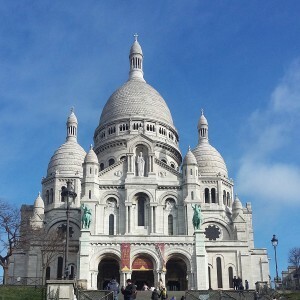 The Sacre Coeur Basilica, a popular landmark the family visited in Paris, France. Nothing compared to the terror in Brussels impacted the remainder of the family’s European vacation. 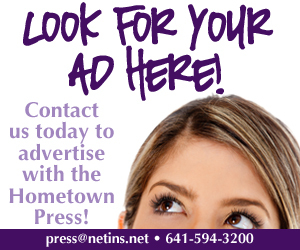 From Belgium, the family traveled to Paris by train where they went to the Louvre, took a cruise on the Seine River, and saw the Notre Dame Cathedral, all on Thursday. Friday’s itinerary included stops at Versailles Palace, the Paris Opera House, and a walking tour of the Latin Quarter. On Saturday, the family went to the Sacre Coeur Basilica and ate lunch on the Eiffel Tower. The family took a train from Paris to Bayeux on Sunday, Mar. 27, and then went to Normandy where they saw Pointe du Hoc, Omaha Beach, and the American Cemetery. After a long day of travelling, Jason, Michelle, Tyler, and Megan had their feet back on American soil on Monday, Mar. 28. Many people have asked Michelle if they plan to return to Europe for future vacations. “The answer is definitely yes,” claimed Michelle. The extensive travelers recognize the importance of being cautious when traveling, but also acknowledge that anything can happen, anywhere. “Our guide on the food tour kept saying it’s important to keep going, don’t live your life in fear,” said Michelle. “I think it is very important to be careful, wherever you are, but you also have to keep living your life and appreciate the opportunities you have.